Marquette only led for one minute and 18 seconds of the game, but that was all that it needed. 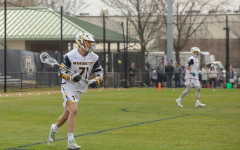 Junior midfielder Blaine Fleming beat senior goalkeeper Chris Selva, giving Marquette a 11-10 lead and completing the Golden Eagles comeback over No. 19 Hofstra. 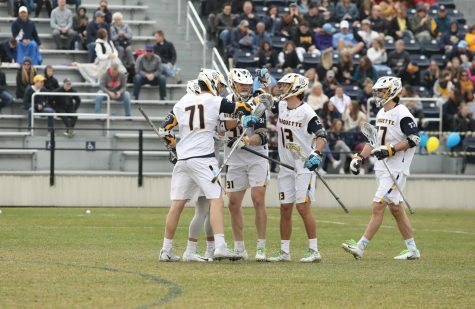 The win is Marquette’s second straight against a top-20 opponent, following the Golden Eagles 10-9 win over Lehigh last weekend. 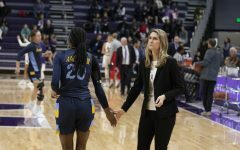 It is also the second straight season the Golden Eagles have upset Hofstra, the school that Marquette head coach Joe Amplo graduated from and coached at for ten seasons. 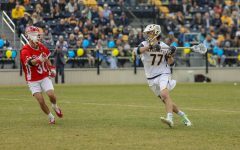 Redshirt junior Kyle Whitlow, who scored the game winner against Lehigh, had another big game for the Golden Eagles. He scored four goals, including two straight in the final three minutes to tie it at 10. 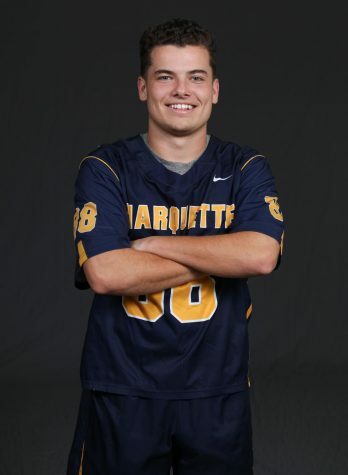 Junior attackman Conor Gately had two goals and two assists, Fleming had two goals and graduate student attackman Jordan Greenfield had a goal and three assists. 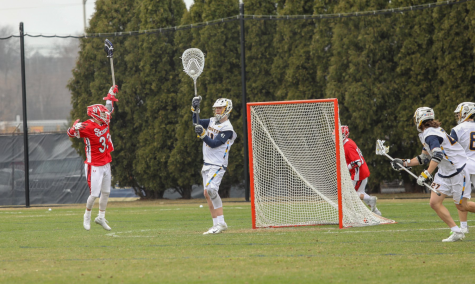 Sophomore goalkeeper Jimmy Danaher was heavily tested, especially early on. He finished with 13 saves on the day, two short of his career high. It wasn’t an ideal start for the Golden Eagles, who gave up the first four goals of the game. 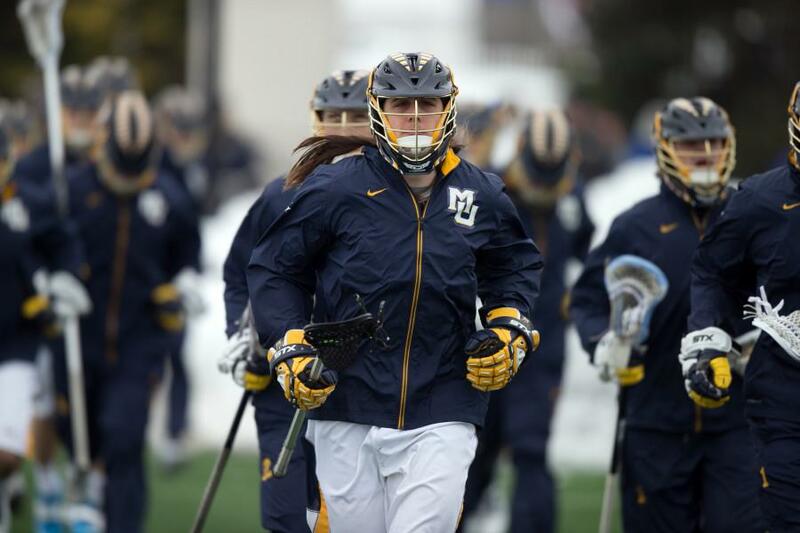 The Pride dominated possession in the first quarter, getting ten shots on goal compared to Marquette’s one. Marquette was not outscored again in a quarter. The team’s comeback began in the second, as the possession began to swing Marquette’s way. Marquette cut into the Hofstra lead thanks to goals from four different players, but Hofstra continued to keep them at a two goal distance. 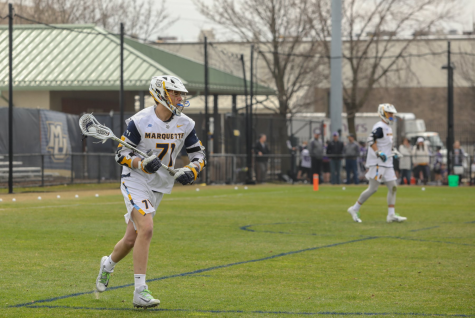 Marquette remained within striking distance, down 6-4 at the half. 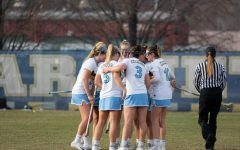 Hofstra seemed to find its mojo again at the start of the third, scoring the first two goals nine seconds apart. The Golden Eagles answered with a three-goal run, featuring two goals by Whitlow, to make cut the led to one. After the two teams exchanged goals the Pride again pushed the lead to two, a 10-8 score. Both teams would go into a scoring drought, with more than six minutes without a goal. With four minutes remaining, the Golden Eagles were in need of some late game heroics. Whitlow continued his impressive start to the season with two straight goals, tying the game with 2:48 left in the game. It was the first time the score was tied since the score was 0-0. K.C. 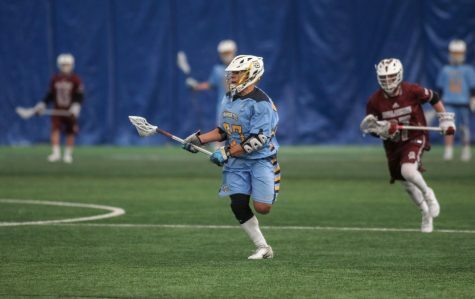 Kennedy gave Hofstra fits in the faceoff x in the second half, a big factor in the team’s comeback. 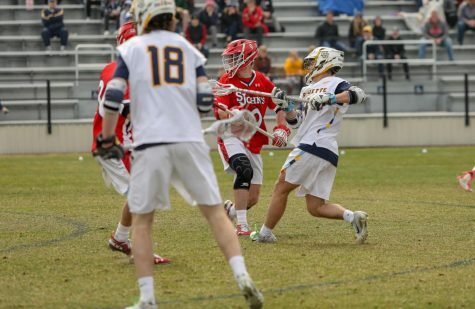 The Golden Eagles won 10 of 13 faceoffs in the final two quarters. 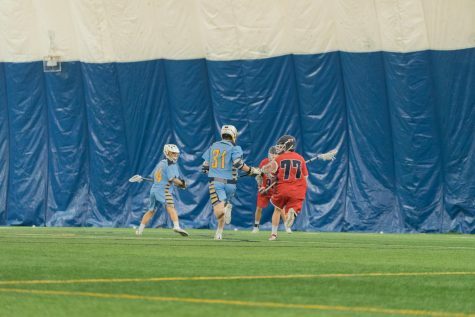 However, Hofstra won the faceoff following the tying goal. 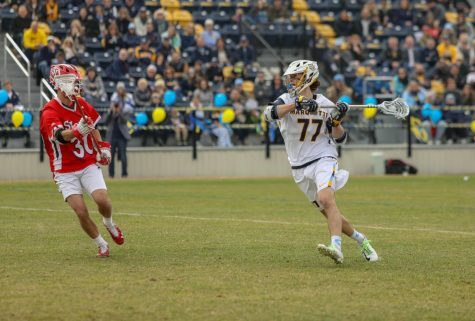 The defense was up to the task, as redshirt junior long-stick midfielder Tyler Gilligan forced a loose ball that was recovered by fellow redshirt junior long-stick midfielder Liam Byrnes. 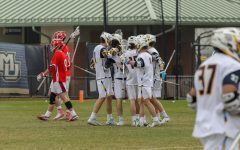 The Golden Eagles took a timeout with under two minutes left, setting up what they hoped would be the game-winning goal. 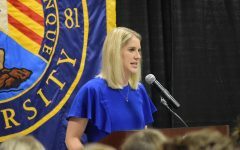 The Golden Eagles played a bit of catch while looking for the ideal opportunity, which came 30 seconds into the possession. Fleming was given space on the right side, and the made the Pride pay. 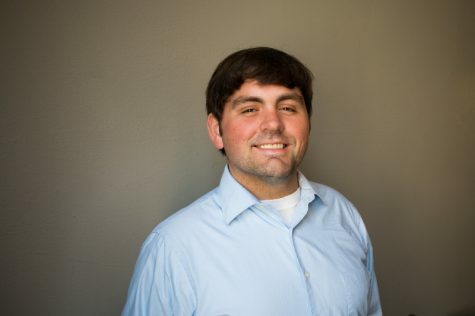 He fired a laser through Selva’s legs to give the Golden Eagles their first lead. 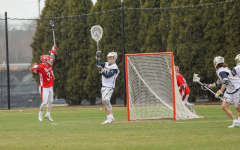 Hofstra had one more opportunity to tie the game up, but the Golden Eagles responded with another defensive stand. The unit forced another turnover, and Marquette was able to run the clock out on the offensive end. 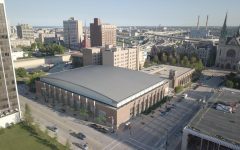 Marquette looks to continue its strong start next week against a fellow successful young program, Richmond. The Spiders are also 2-0 with wins over St. Joseph’s and Rutgers. 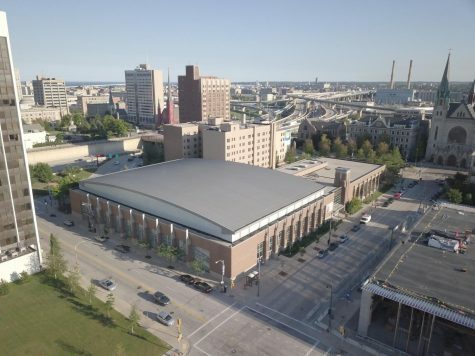 Richmond won the Atlantic Sun title in its second season of play last year.